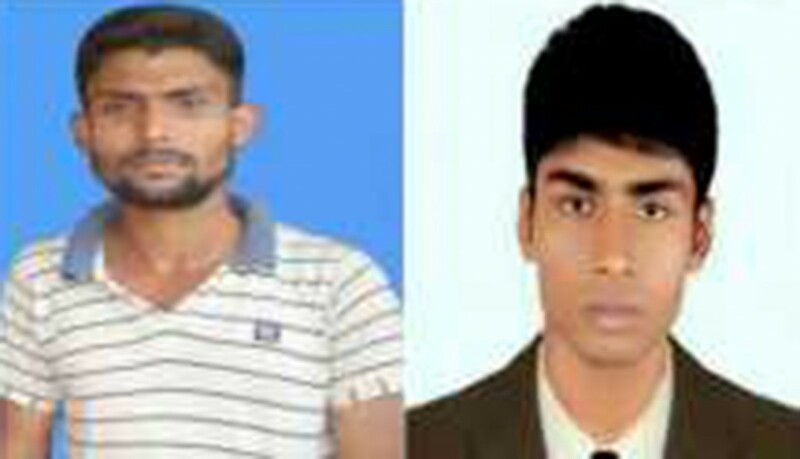 Abu Jar Giffery (21) and Shamim Mahmud were forcibly disappeared by law enforcement agencies at Jhenaidah on March 2016. Because of Police’s long record of killing people, the following day, their family members organized a press briefing in which they urged the authorities to ensure that their sons would not be killed. But on 13 April, 2016 bullet-hit bodies of Giffery and Shamim had been found in Jessore Sadar upazila. 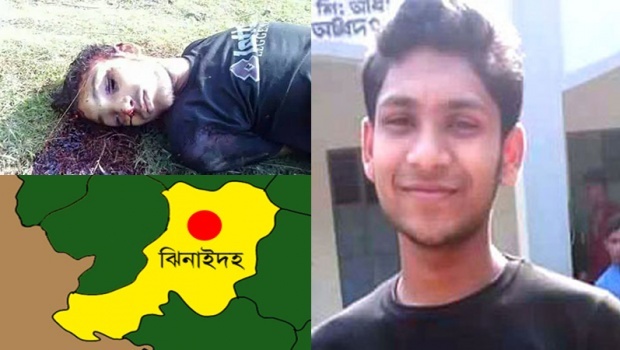 After the killing of Giffery and Shamim, another college student named Shohanur Rahman’s (16) bullet-riddled body was found on 20 April in Chuadanga Sadar Upazila. The local people said that they found the dead body of Shohan with tying legs and hands by rope! His eyes were uprooted! Victim’s mother Parvin Akhter quoted witnesses to allege that four unidentified plainclothes detectives picked up Shohanur from Jamtola of Jhenaidah’s Kaliganj upazila on April 10. At least 24 people (including Jamaat-Shibir, BNP, AL activists) have been killed by police firing after being disappeared by them in Jhenaidah within three years. Not only Jhenaidah but also whole Bangladesh enjoys the cruel disappearance problem. A serious violation of human rights is taking place in Bangladesh constantly. Enforced disappearance has increased in Bangladesh recently. After coming into the power in 2009, The Awami League government started to repress the opposition parties. Many political activists have been disappeared by the law enforcement agency and their bullet-riddled dead body has been found in several places. Between January 2009 and March 2016, human rights groups have documented at least 250 people forcibly disappeared in the country. Many witnesses have testified to the law enforcement agents’ involvement in these cases, and the pattern of abductions and the profiles of victims suggest that disappearances are used as a weapon by the government to silence political opponents. 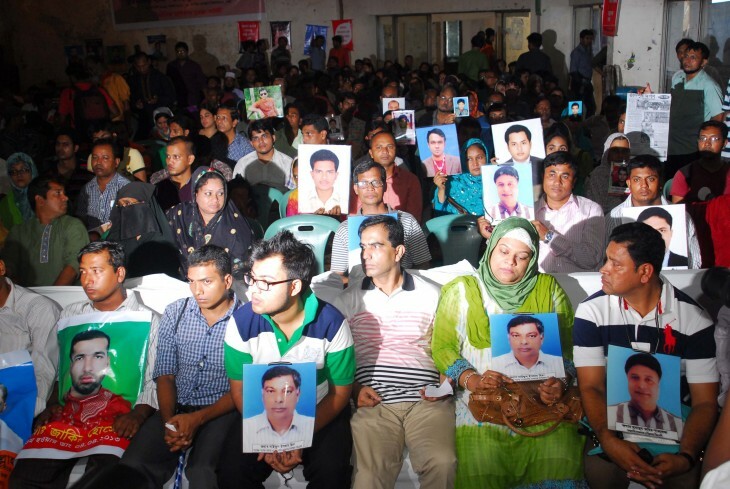 The enforced disappearance violates both the Bangladeshi law and International law. Enforced disappearance is a new cruel culture in our country. After the year of 2009, it is massively seen in this country. The constitution of Bangladesh strongly opposes this. Though it is a new culture, there are provisions regarding kidnap and abduction in the Penal Code, 1860. According to section 362 of the Penal Code, 1860, a person is said to commit the offence of abduction when he by force compels or by any deceitful means induces any other person to go from one place to another. The punishment for murder after abduction is death penalty or imprisonment for life as stipulated in section 302 of the Penal Code 1860. In addition to this, if kidnapping or abduction is committed with an intention to wrongful confinement, the offender shall be punished with custody of either description for a term, which may extend to seven years and shall also be liable to fine. Enforced disappearance is one of the forms of cruel inhumane violence in Bangladesh. Opposition leaders and activists are the main victims of such inhumane activity. Every human being has the right to get justice when he is victimized by any other means but in the context of Bangladesh the situation has become of such nature that victim has no opportunity to get minimum justice. The family members and relatives of the person disappeared pass their days with great confusion whether their beloved will return or not. Enforced disappearance has a horrific impact on the sufferer’s life and his family as well. Now in Bangladesh, such offensive treatment has become very cruel. Many people including students are forcibly disappeared by the law enforce agency and after disappearance the victim’s dead body is found in pond, river, field, crematory and so on. Victim’s relatives don’t know what his fault was. When a son of a family becomes disappeared, this is the stinging incident for the parents. Victim’s family faces serious economic problems when the victim was the main bread-winner of the family. Children face psychological problem when their father is disappeared. They generally grow with social immaturity. The present government can’t avoid liability of enforced disappearance. Police, RAB are also accountable for the disappearance because they are the main actors of this cruel culture. If this inhuman culture continues, the government may lose trust from mass people though the present government is passing over a crisis regarding their legitimacy. The writer is a Master’s student of Political Science at the University of Dhaka.